Reducing waste is a great way to save money on your groceries but many people don’t put the thought into it at all. You could be throwing a lot of your money away in food waste. Are you searching for a way to save money on the foods you buy? There’s no denying that it’s a huge part of your monthly budget. 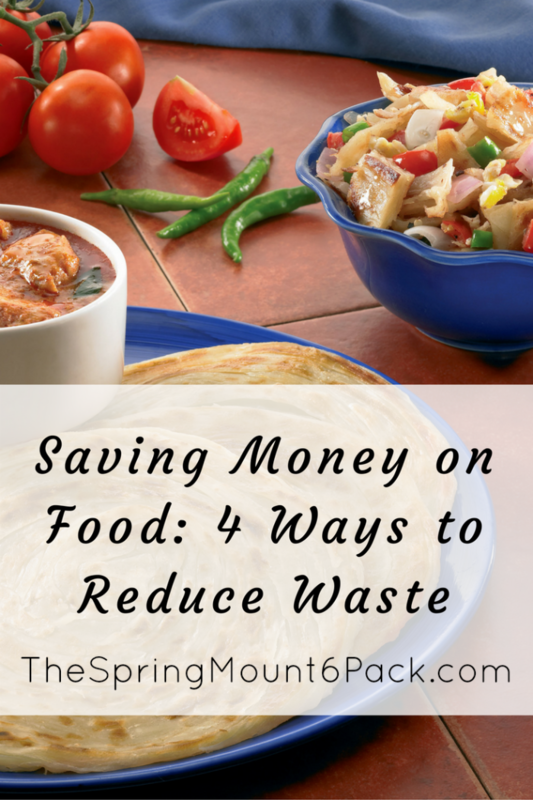 The best way to save money on food cost is to reduce food waste. Not only will it save you money but it’s the right thing to do. It’s sad to see so much food thrown in the garbage when so many people around the world are starving, many of which may be living right in your own community. Plan your meals and create a grocery list. By planning your meals and writing a shopping list, you can cut back on how much you waste in a couple of ways. It helps reduce impulse buying and it prevents you from overstocking foods you already have plenty of. Organize your fridge and food pantry. When you keep everything organized and rotate foods, you can see exactly what you have and you can keep up with the expiration dates easier. Track your waste. It’s easy to throw away a lot more food than you realize, especially when you don’t see what other members of your family are throwing in the trash. By keeping track of your food waste, you’ll see exactly how much food and money you’re throwing in the garbage. It also makes it easier to implement plans to cut back on waste. For those times when you accidentally buy more food than you can eat before it spoils, consider donating it to a local food bank. This way, instead of wasting it, you’re sharing the food with others who need it.